For my own part, I can never get enough Nothing to do. 閒 xian: idleness, idly. A very much used word. Thus one’s ‘hands’ and ‘mind’ can both be ‘idle,’ or the hands may be idle while the mind is busy, or the mind may be idle while one’s hands are busy. 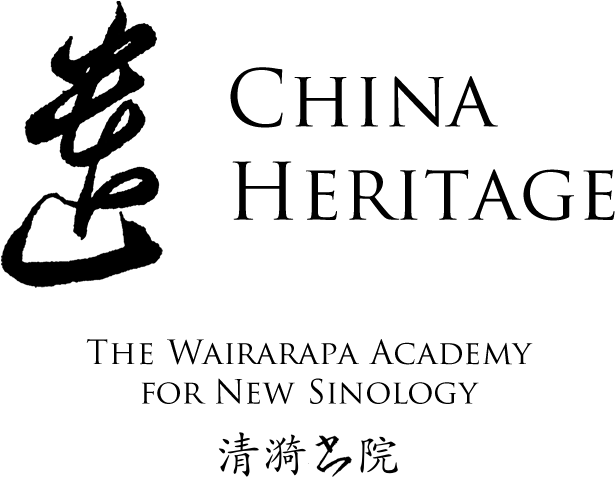 The first Wairarapa Reading published by China Heritage featured two letters addressed to Jia Bao-yu 賈寶玉 in Chapter 37 of The Story of the Stone 紅樓夢 translated by David Hawkes. ‘Occupied with Idleness’, the second Wairarapa Reading in China Heritage, continues our mediation on the theme of Idleness by introducing works by Bo Yuchan 白玉蟾 of the Song dynasty, Li Mi’an 李密庵 of the Ming and Jin Shengtan 金聖嘆 of the Qing. They are all translated by Lin Yutang 林語堂 in The Importance of Living (1937). 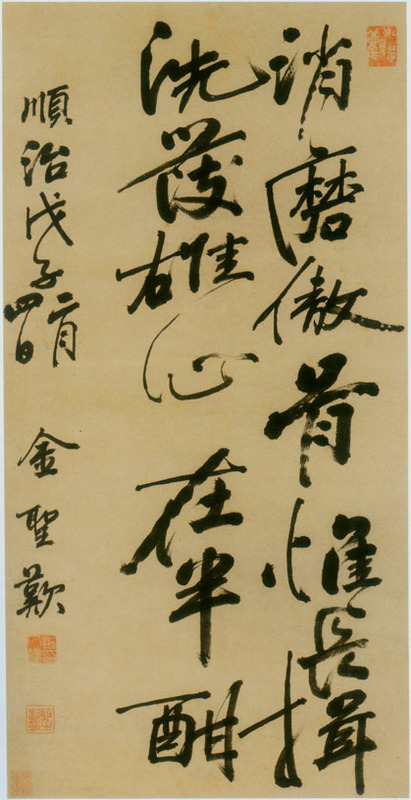 As we noted in the introduction to Idleness 閒 in Heritage Glossary, from the late 1920s, a number of leading writers and cultural figures, including Zhou Zuoren 周作人 and Lin Yutang, through lectures, essays and edited works (books and journals) attempted to counter the narrow cultural nationalism and propagandist tenor both of elite and of mass culture that plagued radical and conservative politics alike. Instead of the mob mentality, or class conflict, they advocated ‘self-expression’ 性靈 and a ‘leisurely’ 閒適 style of intimate essay and prose writing, one in which the individual could find a voice. They identified cultural exemplars among international writers as well as in the Chinese tradition. The Seven Sages of the Bamboo Grove 竹林七賢, discussed elsewhere on this site, were also paragons. 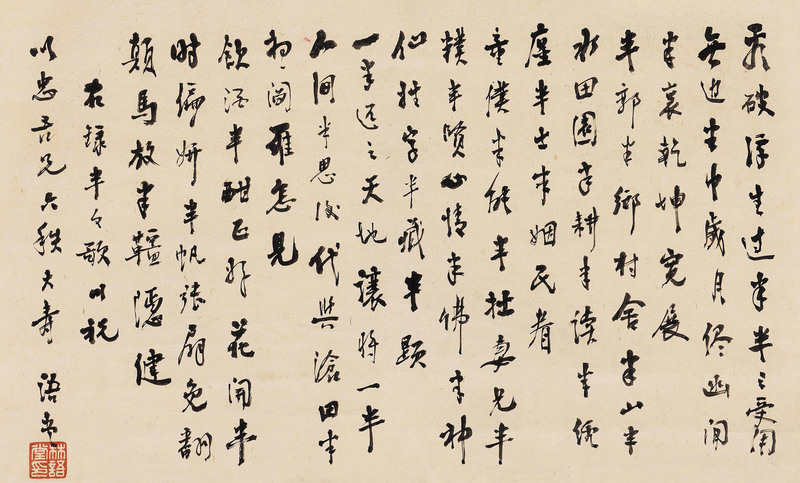 Lin Yutang in particular promoted a written language that embraced the belles lettres style of Ming and Qing prose and was able to express contemporary concerns. He called this yuluti 語錄體. Partially preserved in post-1949 Taiwan-Chinese culture, the literature of leisure 閒適文學 and the pursuit of non-conformist self-expression eventually also found an outlet on Mainland China from the 1980s. The de-militarisation of society (but not politics) from that time, and the surge in mercantile pursuits meant that Other China — one not entirely beholden to the Communist party-state — could seek and find succour in a revival of long-forgotten literary tastes and personal styles. Writers like Zhou Zuoren and Lin Yutang were derided for their escapism and frivolous, indulgent concern for what the artist and essayist Feng Zikai 豐子愷 called ‘protecting the heart’ 護心. Their work, once decried as ‘idle pursuits’ 閒情逸致 has outlived the furiously busy revolutionaries and the evanescent politics of their day. It resonates with readers still. Now the ironical paradox of our age, of course, is that the wretched lumpenproletariat is cursed with the enforced leisure of demoralising and permanent unemployment, whereas the educated elite, whose liberal professions have been turned into senseless money-making machines, are condemning themselves to the slavery of endless working hours — till they collapse like overloaded beasts of burden. Standard Chinese Hanyu pinyin romanisation is used throughout. — Ed. The idle life, so far from being the prerogative of the rich and powerful and successful …, was in China an achievement of high-mindedness, a high-mindedness very near to the Western conception of the dignity of the tramp who is too proud to ask favours, too independent to go to work, and too wise to take the world’s successes too seriously. This high-mindedness came from, and was inevitably associated with, a certain sense of detachment toward the drama of life; it came from the quality of being able to see through life’s ambitions and follies and the temptations of fame and wealth. for they go no deeper in Tao than its looks. the whole day like a fool? for within there are heavenly processions. but I shall always remain what I am. We have here, then, a compounding of Taoistic cynicism with the Confucian positive outlook into a philosophy of the half-and-half. And because man is born between the real earth and the unreal heaven, I believe that, however unsatisfactory it may seem on the first look to a Westerner, with his incredibly forward-looking point of view, it is still the best philosophy, because it is the most human. This ‘half’ — so rich in implications. Best state, when slackened pace allows him ease. A wife who is not too ugly, nor too fair. To answer God when the body’s laid at rest. But half too little, adds possession’s zest. 2. A friend, one I have not seen for ten years, suddenly arrives at sunset. I open the door to receive him, and without asking whether he came by boat or by land, and without bidding him to sit on the bed or the couch, I go to the inner chamber and ask my wife: ‘Have you got a gallon of wine like Su Tungp’o’s wife?’ My wife gladly takes out her gold hairpin to sell it. I calculate it will last us three days. Ah, is this not happiness? 4. I have pulled out the haitang [crab-apple] and zijing [Chinese redbud] (flowering trees) in front of my studio, and have just planted ten or twenty green banana trees there. Ah, is this not happiness? 8. Having nothing to do after a meal I go to the shops and take a fancy to a little thing. After bargaining for some time, we still haggle about a small difference, but the shop-boy still refuses to sell it. Then I take out a little thing from my sleeve, which is worth about the same thing as the difference and throw it at the boy. The boy suddenly smiles and bows courteously saying, ‘Oh, you are too generous!’ Ah, is this not happiness? 10. It is a summer’s day. I go bareheaded and barefooted, holding a parasol, to watch young people singing Soochow folksongs while treading the water-wheel. The water comes up over the wheel in a gushing torrent like molten silver or melting snow. Ah, is this not happiness? 13. It has been raining for a whole month and I lie in bed in the morning like one drunk or ill, refusing to get up. Suddenly I hear a chorus of birds announcing a clear day. Quickly I pull aside the curtain, push open a window and see the beautiful sun shining and glistening and the forest looks like it’s having a bath. Ah, is this not happiness? 14. At night I seem to hear someone thinking of me in the distance. The next day I go to call on him. I enter his door and look about his room and see that this person is sitting at his desk, facing south, reading a document. He sees me, nods quietly and pulls me by the sleeve to make me sit down, saying, ‘Since you are here, come and look at this.’ And we laugh and enjoy ourselves until the shadows on the walls have disappeared. He is feeling hungry himself and slowly asks me, ‘Are you hungry, too?’ Ah, is this not happiness? 21. A poor scholar comes to borrow money from me, but is shy about mentioning the topic, and so he allows the conversation to drift along on other topics. I see his uncomfortable situation, pull him aside to a place where we are alone and ask him how much he needs. Then I go inside and give him the sum and after having done this, I ask him: ‘Must you go immediately to settle this matter or can you stay awhile and have a drink with me?’ Ah, is this not happiness? 22. I am sitting in a small boat. There is a beautiful wind in our favour, but our boat has no sails. Suddenly there appears a big lorcha, coming along as fast as the wind. I try to hook on to the lorcha in the hope of catching on to it, and unexpectedly the hook does catch. Then I throw over a rope and we are towed along and I begin to sing the lines of Tu Fu: ‘The green makes me feel tender towards the peaks, and the red tells me there are oranges.’ And we break out in joyous laughter. Ah, is this not happiness? 23. I have long been looking for a house to share with a friend but have not been able to find a suitable one. Suddenly, someone brings news that there is a house somewhere, not too big, but with only about a dozen rooms, and that it faces a big river with beautiful green trees around. I ask this man to stay for supper, and after the supper we go over together to have a look, having no idea what the house is like. Entering the gate, I see that there is a large vacant lot, and I say to myself, ‘I shall not have to worry about the supply of vegetables and melons henceforth.’ Ah, is this not happiness?